December 4th 2011 — Forgive needed editing, this is still an unfinished work in progress. Dan 12:11 “From the time that the regular sacrifice is abolished and the abomination of desolation is set up, there will be 1,290 days. Following is a writing of a very quick analysis of the number 1290 days found in the Bible’s Daniel 12:11. The question is – what meaning might this number have. It is a number 30 larger than the 1260 days (42 months, 3.5 years) often associated with the time of Jesus return. In this explanation, I’ve tried to use standard methods I often come to when I want to understand number symbolism. Using multiple methods to try and observe related number themes, I often can better understand the context and meaning of verses. In looking at themes associated with Daniel 12:11 and the number 1290, I’m drawn to suspect that this number is related to the event of Jesus coming a second time after his passing over to take the Church up to a safe place (1260 days?) In some time related to this additional 30 days, I believe Jesus will teach Jews that will listen that he is the promised messiah…then he will take them to a safe place in a second catching up event. Note, these are just opinions based on patterns I see in scripture. Only God knows for sure what all the numbers mean. 29 and 92 are both numbers related to the soon coming of the Lord. I often find “Catching up” verses related to this number. It seems to refer to the coming time of Judgment. Jesus will come (not necessarily to touch down on earth (Passover) and will save those marked with the blood of the Lamb. 911 is a 92/29 related verse – warning to nations that have fallen away from the Lord — Dan 9:11 is the 22,000th verse and is one of the best sources for understanding this symbolism. John 3:16 is the 92nd verse of John and 2992nd verse of NT and points to Jesus as the only way to salvation — John 3:16 “For God so loved the world, that He gave His only begotten Son, that whoever believes in Him shall not perish, but have eternal life. Psalm 129 points to persecuted in Israel who remain faithful — is the Bible’s only chapter 129 and seems to be the words from a Jew and that of Israel that has been persecuted over and over again, yet they still remain faithful to the Lord who delivers them. The persecution has not overtaken them. Psalm 29 calls people to Jesus — ascribe to the LORD (Jesus). 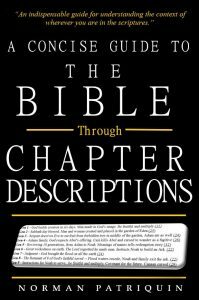 The LORD is referred to in 10 of the 11 verses in this chapter. The total of eleven verses of this chapter seem to indicate this is a chapter of warning. John 1:29 is the 2929th NT verse and again points to Jesus as savior of the World — John 1:29 The next day he *saw Jesus coming to him and *said, “Behold, the Lamb of God who takes away the sin of the world! 1290 days seems related to the time of Israel and the Jews being saved, or Judged — Like referenced verses together have a common theme running through them. By looking at other verse refereces that have the same chapter and verse number as Daniel 12:11 we can look for a common theme in them that helps us interpret all the verses. These like referenced examples seem to refer to Israel; finally realizing Jesus is lord — or the opposite which is those that do not recognize Jesus. These examples show how; some Jews have come to know the Lord; Some are being disciplined so they have a chance to come know the Lord; and refer to some that have rejected the Lord Jesus. Consider the text of these verses reflecting these themes and helping us to comprehend what the number of 1290 days refers to. Num 12:11 Then Aaron said to Moses, “Oh, my lord, I beg you, do not account this sin to us, in which we have acted foolishly and in which we have sinned. Prov 12:11 He who tills his land will have plenty of bread, But he who pursues worthless things lacks sense. Ecc 12:11 The words of wise men are like goads, and masters of these collections are like well-driven nails; they are given by one Shepherd. Jer 12:11 “…The whole land has been made desolate, Because no man lays it to heart. Dan 12:11 “From the time that the regular sacrifice is abolished and the abomination of desolation is set up — 1,290 days. Daniel 12:11 is the 355th verse of the Book of Daniel, and in the same way verse with like chapter and verse references have a common theme running through them, also verses with a like cross Book verse number have common themes running through them. Both these intersections of like referenced verses help to interpret scripture. This is not to imply these verses all have the same meaning, but that they will have similar themes. These 355th book verses appear to have a theme showing that Jesus had told Israel about who he was but they did not understand, and instead of seeking to understand, they turned away from Jesus. Dan 12:11 “From the time that the regular sacrifice is abolished and the abomination of desolation is set up, 1,290 days. 1Cor 14:40 But all things must be done properly and in an orderly manner. Deu 12:7 “There also you and your households shall eat before the LORD your God, and rejoice in …which the LORD your God has blessed you. Judg 11:35 …he tore his clothes and said, “Alas, my daughter! You have brought me very low…for I have given my word to the LORD, and I cannot take it back.” (I wonder if this points to Israel believing they made a promise to God to only follow him, and thus were not able to reconsider this promise even when the truth was revealed. That is, they could not bring themselves to consider Jesus because they locked themselves into following God’s laws. Rom 14:5 One person regards one day above another, another regards every day alike. Each person must be fully convinced in his own mind. Mrk 9:32 But they did not understand…and they were afraid to ask Him. Jer 14:8 “O Hope of Israel, Its Savior in time of distress, Why are You like a stranger in the land…? Psa 27:9 Do not hide Your face from me, Do not turn Your servant away in anger; You have been my help; Do not abandon me nor forsake me, O God of my salvation! Eze 16:57 before your wickedness was uncovered, so now you have become the reproach of …those surrounding you who despise you. Job 15:21 “Sounds of terror are in his ears; While at peace the destroyer comes upon him. Even though I might often write like I know what the Bible is telling us, I really question my exact understanding every day. 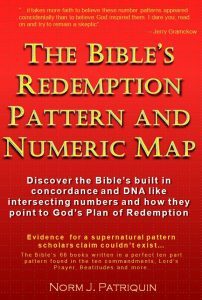 The Bible’s Redemption Pattern and Numeric Map give me great input to interpretation, but at the end of the day, my ideas are no more valid than the next persons. Each man must interpret these patterns for themselves. Here’s today’s opinion on what the 1290 days may be referring to. 1290 seems to relate to the number 29 – not just because #29 is found in the number 1290, but because these two numbers seem to have very similar patterns they follow. I know that many references to end times dates are 1260 days (42 months, 3.5 years) and suspect the difference in these days relates to the times between two different events. I’m not a prophecy person so I’m just guessing here based on what I believe Bible patterns point out. Scripture seems to tell us that Jesus returns two times. The first is like a Passover where he does not actually come down to touch the earth, but rather passes by all the people of earth and takes the “Godly” to a safe place to stay while he then will go to judge the earth. During this second end times visit to earth, I believe Jesus will come back to his chosen people, Israel (Jews) and will teach them about him again. Some will still reject him, but many will finally see Jesus as their promised messiah. In a second “catching up/Taking out” event, Jesus will take his chosen people to a safe place while the final judgment will take place. I believe, in a similar way to the Exodus, that some gentiles will also be taken in this second taking up. I have no idea how to qualify who these two groups are, but my sense is that it is only for the sincere believers who have demonstrated they really do recognize Jesus as Lord and Savior of the World – through his death on the Cross for their sin—and his resurrection to eternal life. So, I suspect the 1290 days are a reflection of this second resurrection event where Jesus takes his chosen people to eternal life. Along with other evidences presented here; I think the like referenced 355th cross Bible verse numbers (29 in total) seem to say that the 1290 relates to God expecting his people to understand when the messiah Jesus would come, but they generally would not reconsider their beliefs and are stuck ignoring the savior – Jesus. The like referenced chapter 12 verse 11 verses seem to relate the 1290 days with examples that many of Israel will finally realize Jesus is the true messiah they have waited for and they will be saved. Some will still not accept Jesus and will suffer the consequences. Along with the other #29, 129, and 911 & 99 examples shown here, these all seem related to the same general event. #99 and #999 are numbers just before end numbers of 100 and 1000. All these numbers point to events that are to happen in the last days/end times – when Jesus returns. I suspect God has kept much of this hidden until the very last moments and that my being able to write about these numerical patterns is further evidence that Jesus is very near — right at the door.